MUMBAI: In the age of social media, radio still holds a place and in the world of social media heroes, there are RJs who have mammoth fan following. RJ Kartik of MY FM is blessed with such immense fan following. “I don’t think internet can ever be a threat for Radio. In fact nothing can ever be a competition to radio. The surprise factor of Radio will never diminish. If a husband wants to surprise his wife with a song, Radio is the best medium for that” says Kartik in defence of Radio craze even today. RJ Kartik is one of the RJs who is active on social media and has recently crossed eight lakhs of active followers. His series of Monday Motivation stories has caught a wide attention and the high viewership is a proof enough. 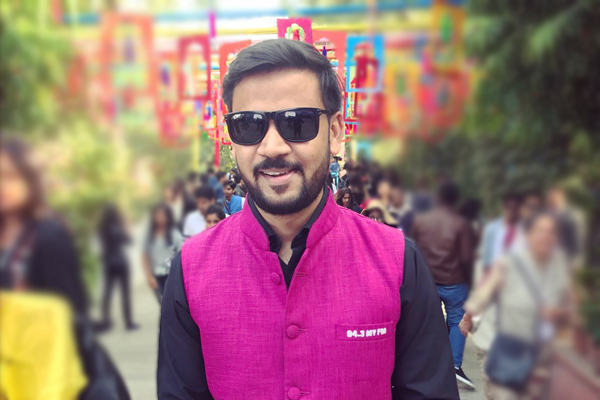 “Till now I have put up 50 stories out of which the highest views for one of my posts have crossed 12 million.” says RJ Kartik. Since Monday is a day everyone battles with blues, these stories soon found a holding and love among the public. "The response has been so amazing that sometimes I feel bad that I cant reply everyone." The RJ agrees that content has to be filtered to suit all sensibilities, but also says beyond a point ignore button is best preferred. "With the review section sometimes I get five stars, sometimes one. But if I keep thinking of that one negative comment then I am being unfair to the overwhelming positive response I am getting." He, however, thanks god that there hasn't been any severe backlash yet. In fact he been encouraged some very moving feedback. "I wont name the person, but a fan from Kolkata once got in touch with me and said how listening to my post actually change his mind to commit suicide. There is a child of 4-5 years old, who knows all my stories by heart." He has a rich experience of 8 years and credit of hosting almost 2400 Live Shows. Starting with afternoon slots, he today hosts prime-time shows and produces them too. Over the time, RJ Kartik has interviewed many celebrities from different walks of life. " It was great interacting with Rajkumar Hirani, Ranbir Kapoor. I found Ranbir the most sorted among the actors I interacted with.". Recently he interacted with Colonel Rajyavardhan Singh Rathore, Minister of State, Youth Affairs and Sports about the campaign #humfittohIndiafit. "When I saw the videos created for this campaign by various celebrities, I was very inspired." The RJ is extremely happy with his long standing and fruitful association with 94.3 MYFM Jaipur. " The name itself makes you feel like its your own. The channel is soon making its way as a family and great workplace. MYFM makes sure of celebrating small joys of the employees as well as the listners." 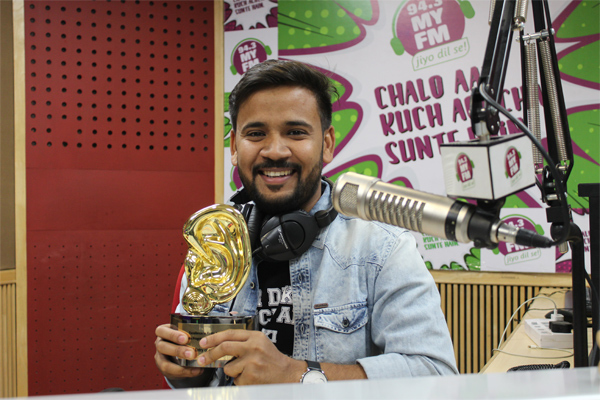 Staying in line with his Monday Motivation campaign, RJ Kartik picks five most motivational songs. Women's Day Special: 10 songs that empower women! MUMBAI: “A woman’s guess is much more accurate than a man’s certainty,” phrases like these have empowered many women. And with today being Women’s Day we at Radioandmusic thought of empowering many more women out there.